All that glitters is rose gold today for Geri Hirsch of Because I’m Addicted and Liz Schneider of Sequins & Stripes. From bangles to earrings and dainty necklaces, see how these stylish bloggers added a touch of sparkle and polish to their fall outfits with versatile pieces from Swarovski’s fall collection. 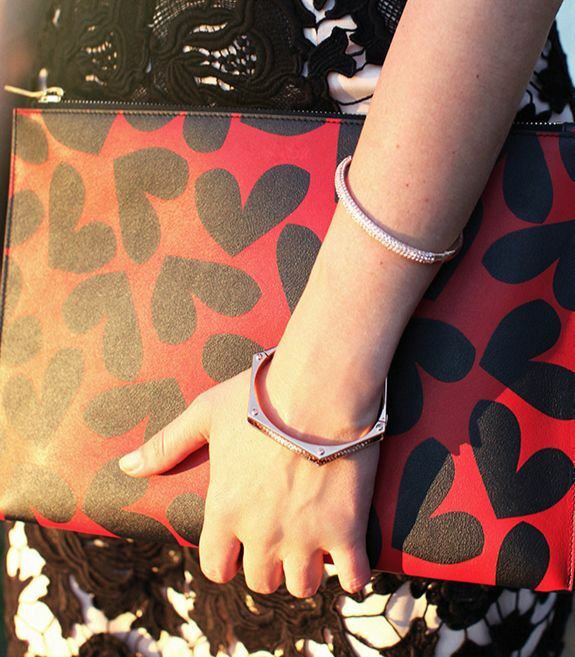 Scroll down to see how they styled elegant Swarovski accessories for everyday wear. Geri Hirsch of Because I'm Addicted in Los Angeles. Liz Schneider of Sequins & Stripes in Chicago.